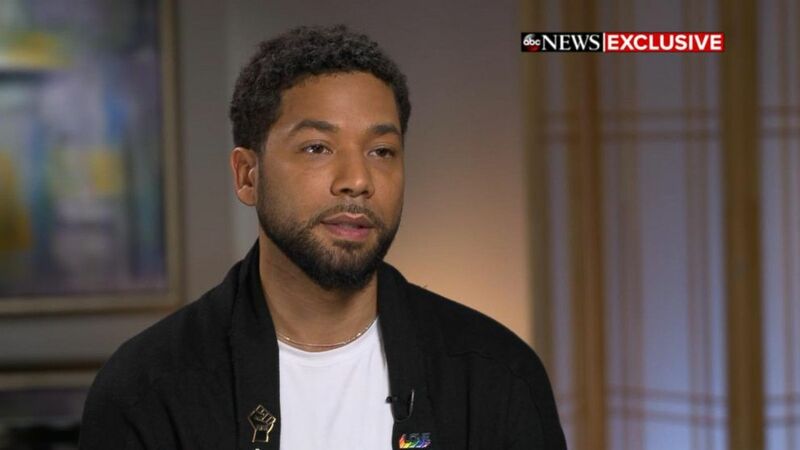 Smollett spoke to Robin Roberts on "GMA." 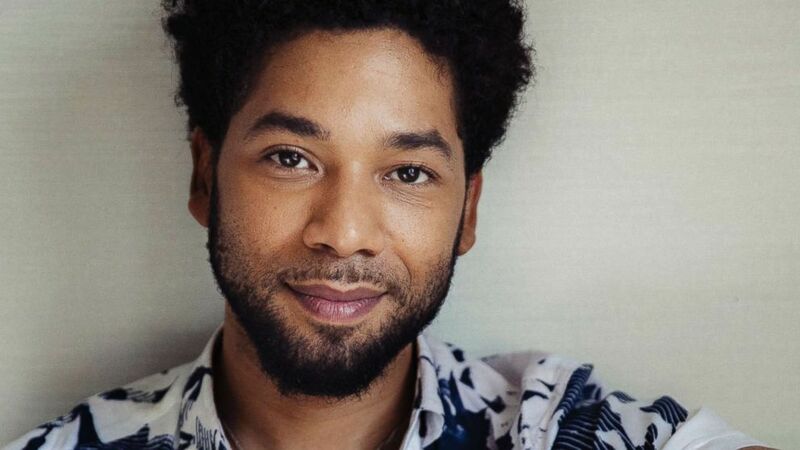 Jussie Smollett spoke directly to his "doubters" in an exclusive interview that aired on "Good Morning America" Thursday, just over two weeks after the "Empire" star told police he was brutally attacked in what authorities are calling a suspected hate crime. In his first interview since police say he was attacked last month, the singer and actor said he was heartbroken when he found out that people questioned the details of his story. "I have to acknowledge the lies, and the hate. And it feels like if I had said it was a Muslim, or a Mexican, or someone black, I feel like the doubters would have supported me much more. A lot more," Smollett, 36, told ABC News' Robin Roberts. "And that says a lot about the place that we are in our country right now. "It's not necessarily that you don't believe that this is the truth, you don't even want to see the truth," he added. (Gary Gershoff/WireImage/Getty Images, FILE) Actor Jussie Smollett visits Build Studio on Nov. 14, 2018 in New York. Smollett, who portrays a gay musician on Fox's "Empire," said the attack happened on Jan. 29, at around 2 a.m. as he was leaving a Subway restaurant in Chicago. He told police that two attackers gained his attention by yelling racial and homophobic slurs at him, according to an initial incident report. He said the attackers put a noose around his neck, poured an unknown substance, likely bleach, on him and used their hands, feet and teeth as weapons in the assault, according to the report, which ABC News obtained last week via a Freedom of Information Act request. Smollett said the attackers also yelled, "This is MAGA country," during the attack -- a reference to President Donald Trump's "Make American Great Again" slogan. The singer said he sustained injuries to his clavicle bone and bruised ribs during the attack, but some still questioned if he made the story up. (Victoria Will/Invision/AP, FILE) Jussie Smollett poses for a portrait in New York, March 6, 2018. "For me, the main thing was the idea that I somehow switched up my story, you know? And that somehow maybe I added a little extra trinket, you know, of the MAGA thing," Smollett said. "I didn't need to add anything like that. They called me a f----, they called me a n----. There's no which way you cut it. I don't need some MAGA hat as the cherry on top of some racist sundae." Smollett said earlier reporting by various media outlets claiming his attackers were wearing MAGA hats was inaccurate. Others suggested that he may have lied in his explanation for being outside at 2 a.m. in sub-zero Chicago weather, but Smollett said "that's ridiculous." "I've heard that it was a date gone bad, which I also resent that narrative," he said. "I'm not gonna go out and get a tuna sandwich and a salad to meet somebody. That's ridiculous. And it's offensive," he added. 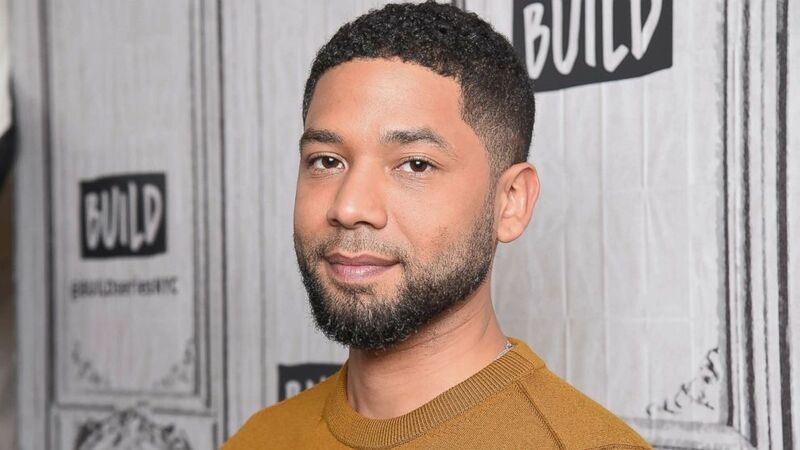 Smollett also confirmed reports that he was initially reluctant to contact the police or handover his cellphone to help with the investigation. "They wanted me to give my phone to the tech for three to four hours. I'm sorry but -- I'm not gonna do that," the singer said. "Because I have private pictures and videos and numbers: my partner's number, my family's number, my castmate's number, my friends' numbers, my private emails, my private songs, my private voice memos." 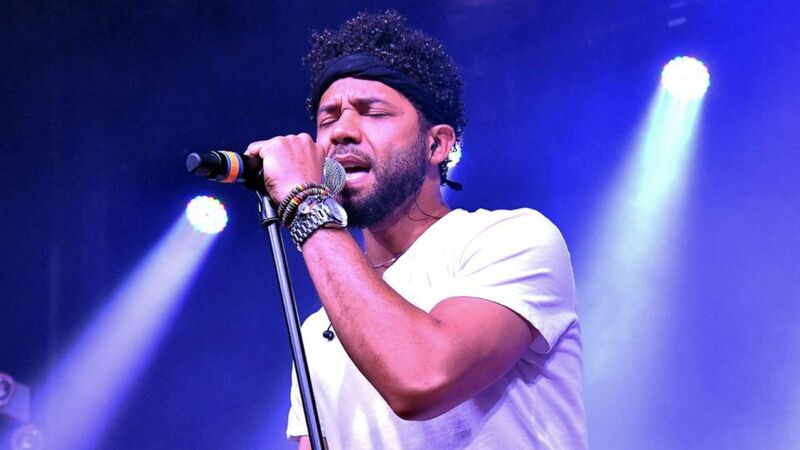 (Paras Griffin/Getty Images, FILE) Jussie Smollett performs in Atlanta, May 29, 2018. "I don't know what that's gonna be, to hand over my phone for -- and honestly, by then, inaccurate, false statements had already been put out there," he added. He also revealed that he didn't want to call the police at first, but his friend and creative director, Frank Gatson, did so on his behalf. When police arrived, responding officers said they found Smollett in his apartment with stained clothing and a "white rope draped around" his neck, according to the report. Smollett said he was still in a state of shock. "I was looking at myself, just like checking myself out. I saw the bruise on my neck, you know, like the little -- the rope burn around my neck," he said. "So when the police came I kept the clothes on, I kept the rope on me. ... I mean, it wasn't, like, wrapped around. But, yeah, it was around because I wanted them to see." The musician said he's hopeful that police will track down the suspects. He also believes the two potential persons of interest in a photo released by police in the days after the attack are the perpetrators. But there's no doubt in his mind that the attack was racially motivated. "I could only go off of their words. I mean, who says, "f----- 'Empire' n-----," "This is MAGA country, n-----," ties a noose around your neck, and pours bleach on you? And this is just a friendly fight?" he asked. "It's unbelievable to me that anything of this has come to this. That every single thing that I have done, every single thing that I have cooperated with, somehow has gotten twisted into being some bull that it's not." Smollett decided to speak out so people could hear the "truth." "I think people need to hear the truth," he said. "'Cause everybody has their own idea. Some are healing and some are hurtful, but I just want young people, young members of the LGBTQ community -- young, black children -- to know how strong that they are." ABC News' Stephanie Wash, Monica Escobedo and Eric Johnson contributed to this report.